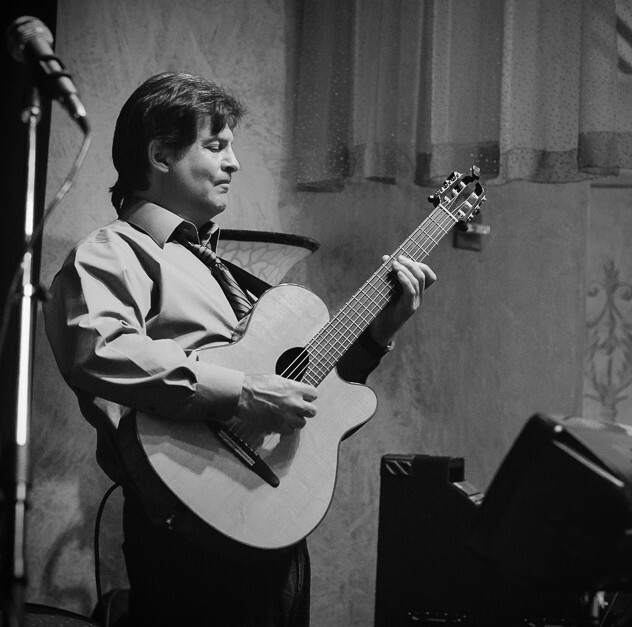 Beginning on accordion at age 4, then switching to guitar at age 11, music has always been a part John’s life. Over the years he’s had the opportunity to study with great guitar players such as, George Benson, Joe Pass, and Andre Segovia. He has extensive education in music theory, arranging and orchestration, and has over 30 years experience in teaching. He has written scores for TV and film and performed in many venues around the world. He is currently producing his own CD.